You see a map that displays territory of Kazakhstan, of Russia. map of Staryye Ozinki и OziExplorer calibration free download. actual map of Stolyary calibrated for gps. topographic map of Slantsevyy Rudnik и OziExplorer calibration free download. free map of Ozinki for Garmin. 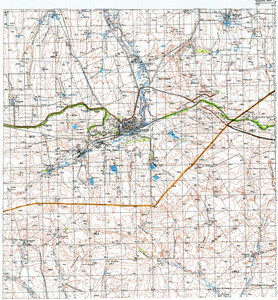 map of Ozerskiy 1 cm to 1 km presented. interesting map of Sinegorskiy with gps calibration this. actual map of Nepryakhin with gps calibration for gps. free map of Leninskiy 1 cm to 1 km download for free. actual map of Karepanov 1 cm to 1 km displayed. actual map of Gremuchiy 1 cm to 1 km presented. actual map of Gornyy 1 cm to 1 km for Garmin. map of Zhegulevtsev with gps calibration this. map of Markov и OziExplorer calibration presented. actual map of Kartashov и OziExplorer calibration displayed. interesting map of Glavnyy и OziExplorer calibration displayed. interesting map of Belen'kiy for Garmin. detailed map of Belen'kiy with gps calibration here.